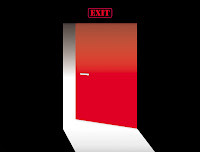 Retention Partners Blog: Why bother with an Exit interview? Why bother with an Exit interview? 'Why do we need to bother with an Exit Interview if they have already gone' some might ask? Our answer to that is it is paramount to find out why people came, stayed and then left for multiple reasons. We did a study once for an organisation that couldn't understand why so many of its employees were leaving in a particular department. Thus we took on the responsibility for their exit interviews. It turned out ex-employees were reticent about giving up information on a bullying manager to HR in fear of the consequences. It was easier for them to leave then to face this particular manager. It is not always as simple as this. Many themes expose themselves over time that could cost/save your organisation their staff causing a ripple effect of many things including knowledge, and of course money! We would be delighted to help you find out why your staff join, stay and leave.